Winter is a tricky time of the year for a lot of reasons, but the trickiest part of it all may be having to drive in winter weather. There’s a lot keep in mind when snow and ice enter the driving equation, but while it may seem overwhelming it’s important to know how to deal with the added difficulty of winter driving. The first and best tip that we can give you about driving in wintry weather is to avoid it whenever possible. While we all have things we have to do, if it’s not important you shouldn’t put yourself and others at risk. The easiest thing to do when behind the wheel in winter is to lower your speed. This will necessitate allowing extra time to get where you’re going, but that’s a lot better than possibly spinning out and hitting someone because you were in a rush. Speaking of not hitting anyone, you should keep in mind that when there’s ice all about it’s harder to halt. It’s a good idea to leave up to three car lengths between yourself and the vehicle ahead of you to allow more room to come to a stop. Even if it’s the middle of the day, winter has a way of making things harder to make out. So leaving your lights on is a good way to ensure that others can see you, especially if it gets cloudy or starts to snow. We got this one from our friends at Lustine Toyota (Woodbridge, VA). Cruise control is a handy tool that lets drivers maintain their speed and fuel efficiency without much work. During the winter months though cruise control can be your worst enemy. When the roads are slick it’s important to keep all the control you can in case you need to react quickly, so leaving the speed up to the car is a bad idea. Generally, the road ahead of them is just going to be worse than it would be to just stay behind them. Should you lose control the most important thing you can do is not panic, that will only make things worse. Should it happen though there are a couple things you can do to try and get control back sooner. First, take your foot off the gas. Going faster isn’t going to solve this problem. Next, turn the wheel the way you want to go, usually the opposite way you’re sliding in. Then apply the brakes. If they’re anti-lock brakes apply steady pressure, if not gently pump them repeatedly until you slow down and start to regain control. There’s more you can do before you even get on the road though, which mostly comes down to being prepared. But while that may not sound very interesting, it can be the most important thing you can do to stay safe when there’s winter about. Some of these preparations include keeping your tires inflated, keeping your gas tank at least half full to keep the gas line from freezing, watch weather reports so you’ll have an idea of what you’ll be driving through. Also, make sure you have the number of the AAA or another nearby tow service. Keep supplies in the car like a spare tire, wheel wrench, a jack, a shovel, jumper cables, salt or cat litter to give tires something to grip, a first aid kit, and extra items to help keep warm like blankets, mittens, hats and socks. 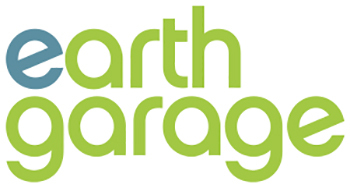 Earthgarage – Greener Car. Fatter Wallet. Every time you step op the brake pedal when you're driving, copper in the form of brake dust is worn off the pads. This eventually winds up in the environment, contaminating our precious water resources. Copper pollution directly harms salmon and other sea creatures. California and Washington have already passed legislation that will eventually remove all copper from brake pads. The Earthgarage team has created the "Give Water a Brake!" petition. Our goal is to pressure elected officials in the rest of the U.S. and Canada to pass legislation to phase out copper in brake pads.